For the record, it was originally promised for 2015. Last month, . Thing is, 2018 was supposed to be when an all-new GranTurismo would debut – and that was already delayed from 2015. So what’s going on in Modena? 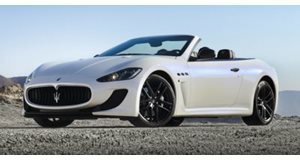 claims the delays are because Maserati is still working on an all-new platform, one that’ll underpin several future models, and that can be further adapted for hybrid and pure electric capabilities. For now, think of the refreshed ’18 GranTurismo coupe and convertible as simply place holders until their respective replacements arrive, which will now supposedly happen in 2020. Thanks to that new platform, the 2020 GranTurismo will finally ditch the not-so-loved six-speed automatic in favor of a new eight-speed unit. What’s guaranteed to be retired is the 4.7-liter naturally aspirated V8. It’ll be replaced by – you guessed it – a twin-turbo V8. 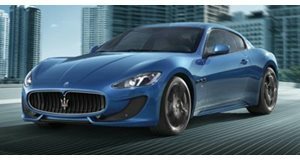 Will this new engine completely eliminate the wonderful exhaust note the GranTurismo is lovingly known for? That remains to be seen, but fortunately Maserati is fully aware of its significance. Styling wise, further believes we’ll get our first indication when a concept debuts early next year. Chances are it’ll blend both classic Maserati and . In the meantime, the refreshed 2018 GranTurismo should be in dealers shortly. It’s one of the last, rear-wheel-drive, NA V8 luxury gran tourers on the market.